I was in a conversation with someone on Facebook about how they think I should charge the church for things that I do. For me that isn’t even an option. There would be no way I would charge my church for anything that I do. This will be the only time I will post on this type of thing since it takes away from God and the gift of giving. The reason she was saying that is that she also does websites and is computer savvy. She understands the cost and the time involved. She went on to say that I could bank on what I give away. I don’t see it that way. She has also done analyticals for Google and has set up customers to have websites done. Normally a company will charge around $75.00 an hour if they are doing a website. Everything is added onto the bill. So it can get very pricey. I guess where she lives on the east coast, they have a huge church and people are paid for every little thing. When I explained to her that the only one at my church that gets paid is our pastor, she was shocked. As she was talking to me she said that she has never heard of a church that didn’t pay others within the church. I then explained that our pastor gets paid because he is always on call and its a 24 hour thing. He has no outside job since he is serving in a full time pastoral capacity. My pastor is pretty awesome when it comes to going above and beyond. Our pastor has many hats that he wears and deserves a whole lot more than what he gets in my opinion. My friend could understand that, but not how people at my church doesn’t get paid for other things. My church is full of people who give of their time and services. In my mind if I charged the church for what I do, I would be charging God. That is wrong on so many levels. Tithing is something that I have always struggled with. I should be giving more, even though the church would have to pay someone else outside of the church for what I do, but I think I need to do more. Donating my time and services isn’t just for the church, it is for myself also. For the most part, I don’t go into details about what I do for my church, since they don’t need to know and it isn’t about me. I feel very blessed to know that God gave me the gift of doing things such as websites and computer things. What I find interesting about this gift that God gave me is that I never went to school for computers or anything to do with them. God helped me help others. 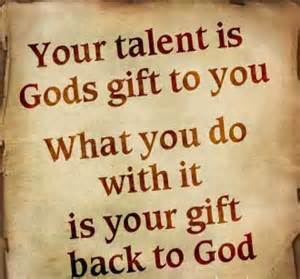 I am able to use these talents in a way to make a difference to others and to my church. Doing these things also allows me to fill my time since I can’t work. It’s a win win. I’m not the only one who feels this way though, my church is filled with people are never ask for anything, they are more than happy to do what is needed. The whole conversation was about money from her standpoint. From my standpoint, it wasn’t an issue. She must be an accountant or has a background in it since she was breaking down what I could make. If I were to charge the church for the services I offer, it would be into the thousands of dollars, if not into the tens of thousands. She then went on to talk about how much time I spend each week on doing the presentations that is put on during the service. She asked me about how much time I spend each week on just the power-point presentation. I told her it is about 8-12 hrs per week. Of course she knew this already. I got the idea that she wasn’t grasping the fact that in my mind and in the mind of those who go to my church, it isn’t even a consideration to charge. I have also donated my time to help Christian churches reach out to others. As long as it is to advance the Kingdom of God, it is free. Again, God shouldn’t be charged. Our church has many members and non members that donate their services and funds. They keep quiet about what they do as it should be. There are some things that I am aware of and other things are silent donations, and that’s how it should be. When we do things for the Lord, it shouldn’t be about how much we give and that we gave the most. What I do is minor and trivial considering what others do in the church and for God. 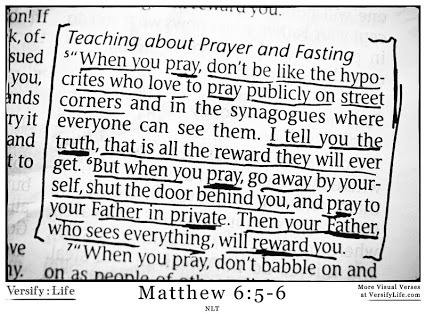 My friends questions and concerns reminds me of Matthew 6:2, “So when you give to the needy, do not announce it with trumpets, as the hypocrites do in the synagogues and on the streets, to be honored by others. Truly I tell you, they have received their reward in full.”It is about doing what needs to be done and not wanting the glory for ourselves. I am only writing on this to help those who think it is OK to charge God is OK, because it isn’t. Those in my church nor myself would never think about charging for helping the church and advancing the Kingdom of God. I guess from some peoples perspectives, churches doesn’t run this way anymore. I found that sad since that is how those who are Christians should be acting. I hope my friend Michelle will read this post since she is the one who wanted me to post on it.